Are you searching for new ways to invite people who are outside your building inside? Do you need an additional visual display for your upcoming trade show that can provide information for uninformed visitors? Do you want another way to greet guests as they walk into your busy office? If these situations are things you’ve been thinking about recently, SpeedPro Imaging Omaha has you covered. Retractable banner stands are an easy visual solution to set up and move around when needed, based on your business requirements. Our team at the studio is knowledgeable and skilled enough to design banner stands that best reflect your brand. 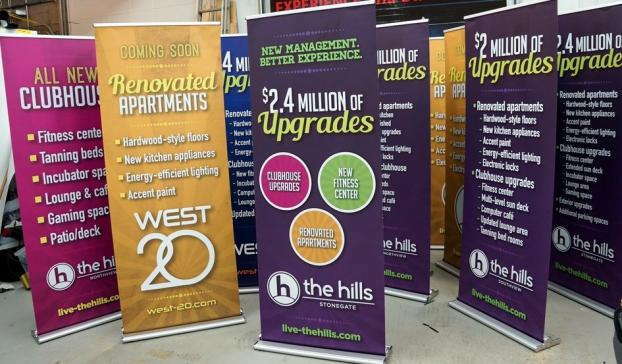 Our goal is to create retractable banners that grab the attention of anyone passing by and intrigue them to check out your business on a deeper level. 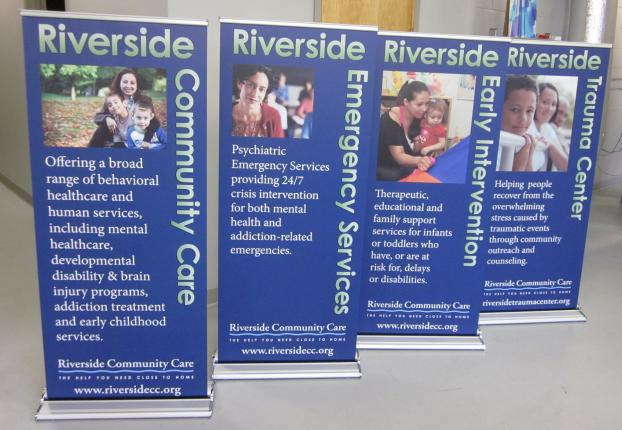 If your company or organization is located in the metro areas of Omaha and Lincoln in Nebraska, reach out to us immediately to begin your journey with a new banner display. A perfect combination of durability, portability and versatility will allow your retractable banner to effectively and efficiently promote your brand. 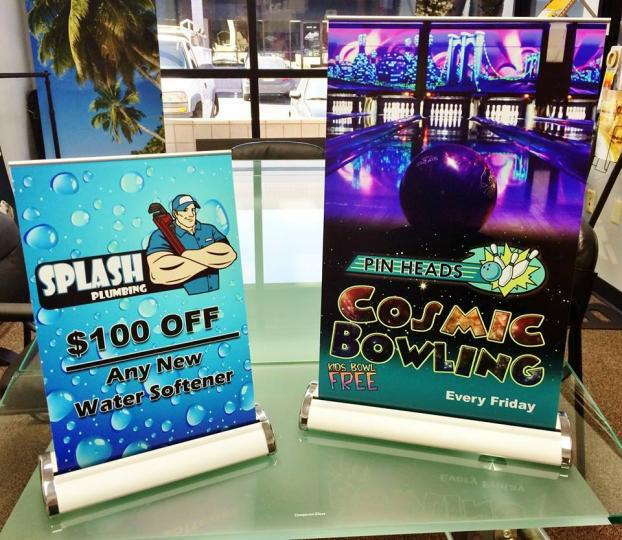 At SpeedPro Imaging Omaha, we craft our retractable banners out of a durable vinyl material that then gets paired with a sturdy frame. Both of these components contribute to the long-lasting nature of the products. These stands can then fold in on themselves to fit into a carrying bag, convenient for transporting from one location to the next. Now you can reuse your custom banners rather than crafting new ones for every event. Fade-resistant inks in a large array of colors will contribute to the stand-out nature of your banner. The colors on display will look amazing use after use, staying as vivid and beautiful as the day you first got the product. Placing your retractable banner stand outside can encourage people to come inside, while placing one beside the desk at reception or in your indoor lobby can greet and welcome guests inside your building. We’re dedicated to making sure the banner you receive is the one that best matches your business and branding needs. We’ll provide a range of stands and frames to support and display your retractable banner. 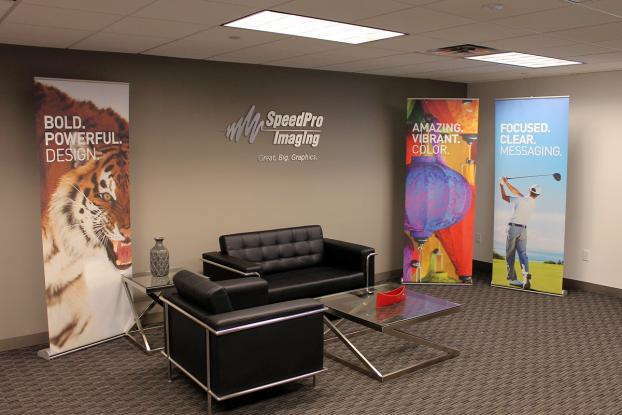 Whether you want a metal frame with a bunch of new gadgets or a smaller frame that can be moved around a tabletop, SpeedPro Imaging Omaha has you covered. We’ll work quickly once we know your design preferences to get you your new marketing materials and help you on the road to success. If retractable banner stands sound perfect for you and your business, call us today. We’ll begin with a consultation appointment to thoroughly discuss your branding needs, then move into the design phase. Let’s get started. The staff at SpeedPro Imaging is very detail oriented & friendly! Production time is fast & quality has been awesome with the projects I have done with their team. Highly recommended! Great people, great service, and imagination. They are very professional, provide excellent signs and service. I have been doing business with them for several years and am happy. [NAME REMOVED]. Great people and great product! Able to receive invoice electronically that has been scanned to save for future review. Also, going paperless and receiving invoice more timely than via mail (lost or damaged).